Volunteering activities are great for your CV for a range of reasons, but have you considered volunteering as a first aider? First aid volunteering helps you develop a range of skills that can help improve your job prospects and build your confidence in areas such as leadership, decision making, and handling high pressure situations. First aid volunteering is a great way of showing you’re able to take the initiative to help, furthering your own knowledge and skills, and building confidence. This is great for your CV and job applications, as businesses like to hire proactive people who are ready and willing to take the initiative, whether it’s helping a co-worker with a task, volunteering for additional responsibilities, over-time work or going the extra mile to help a customer. It’s also a great way to help show you’re a candidate who’ll become an investment to the company, with the makings to move up the career ladder. As a first aid volunteer you’ve shown an interest in learning a valuable life skill, which you can use to show that you’re the kind of person who proactively sets out to learn new skills to further their career and take on new roles in the workplace. 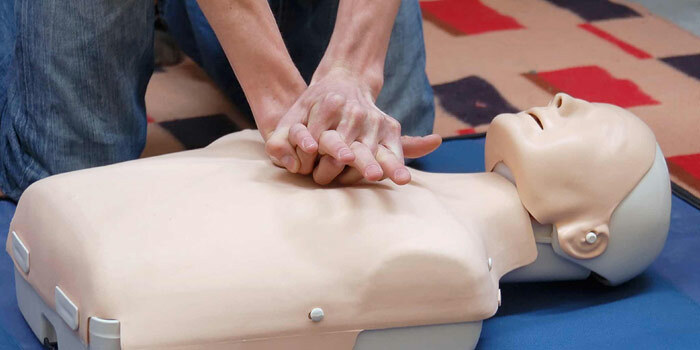 A major part of becoming a first aider is learning how to stay calm in a high pressure situation, such as being the first responder to a road traffic accident or helping someone who is suffering from a heart attack. Situations like this can be extremely stressful, and require the first aider to keep a clear head and make the right decisions. Learning how to handle these kinds of situations is very useful for your professional development, as you’re likely to encounter situations where you need to make a quick decision based on the facts available to you. For example, you might need to make a snap decision on what project to put on hold while you deal with a customer query, or be able to quickly weigh up options and suggest a solution to a problem during a meeting. First aid volunteers must make decisions like these each time they treat a patient, making it the ideal training ground to learn how to make the right decisions quickly. Teamwork and leadership skills are both highly sought after in a professional sphere, and again are skills that can be developed through first aid. 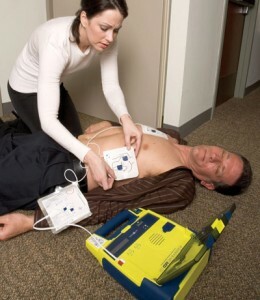 At the scene of an accident, you could be one of the only people trained in first aid, so it’s important to be able to effectively delegate tasks, such as calling an ambulance, treating someone or retrieving a nearby first aid kit, as well as communicating what you need from people clearly. As a result, a big part of first aid training is learning how to effectively lead others, working together to help the injured. Volunteering as a first aider gives you a chance to practice, helping you develop these skills. As you become more experience as a first aider through volunteering at various public events or as a community first responder, your confidence will grow as you begin to save lives and help people. Again, this is perfect for your professional development in roles where you’ll be managing your own projects such as client accounts, new products or leading research projects for your organisation. One of the most important skills you’ll learn as a first aider to show you can take on a position of responsibility is learning to make the right decisions quickly. As a first aider, you’ll need to make snap decisions based on the condition of your patient, teaching you important decision making skills which are transferrable to the office, where you’ll need to make decisions about projects based on the evidence you have. On top of this, your first aid certificate can actually help you take on a position of responsibility in the workplace, in the form of a first aider for the business. If you have a part time job and you already have a first aid certificate, make sure you tell your manager and get yourself appointed as a first aider when on duty – all businesses need a certain number of first aiders on duty at any time to fulfil their first aid obligation, so they’re likely to be happy to do this. This is another great way to show you’re ready and willing to take on responsibilities at work, and a further example of you having taken the initiative. If you’ve done a first aid course in the past, make sure it’s still valid. Due to a recent rule change, you cannot call yourself a first aider any longer if your certificate is out of date, and you’ll need to take another course, along with anyone who is new to first aid. Once you have your up to date certificate, you’re ready to get started.